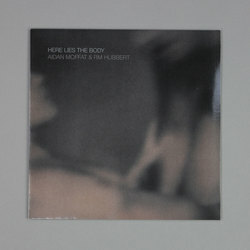 Aidan Moffat and RM Hubbert - Here Lies The Body. Vinyl LP. Bleep. A Scottish love-in here. 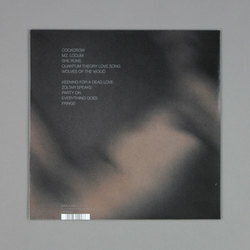 Aidan Moffat (Arab Strap) and RM Hubbert (El Hombre Trajeado) bring together a selection of guests that includes Siobhan Wilson and John Burgess for an album released on Mogwai’s Rock Action Records. 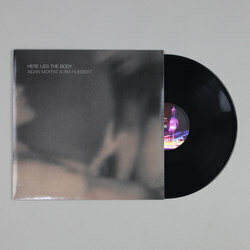 Here Lies The Body is an LP steeped in the folk-rock and Americana that backbones Moffat and Hubbert’s solo output while also incorporating plenty of post-rock textures. The likes of ‘She Runs’ and ‘Wolves Of The Wood’, for example, play evocative storytelling off against distorted background vocals and string playing that comes straight from the book of Jonny Greenwood. Elsewhere entries such as ‘Everything Goes’ prove that the pair’s powers of melody and harmony remain in good nick.